Justice Horn knew he was gay in late elementary school, but growing up in a religious family in Kansas City, he struggled with his sexuality. As it became more obvious he was gay, he was bullied in school. Horn played multiple sports, and in high school, he decided to officially come out to his teammates and coaches. He was concerned that the macho world of athletics wouldn’t be a friendly environment, but he was surprised to be met with nothing but acceptance — his teams were tight-knit, and they really just cared about his athletic performance. He had found an accepting, supportive community in the place he least expected it. 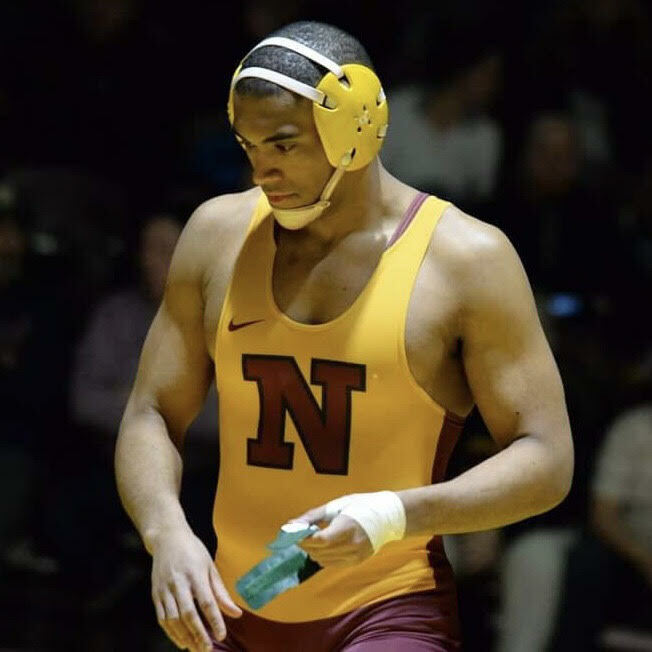 He went on to Northern State University in South Dakota for wrestling, and had to go through the coming out process again with his new teammates and coaches. Horn recently transferred to the University of Missouri – Kansas City, where he is now on the rowing team. But each time he has come out to a new team, he has been met with respect and acceptance. It’s still rare to be out as a college athlete, he says, so he appreciates his good fortune and values the opportunity to be visible. 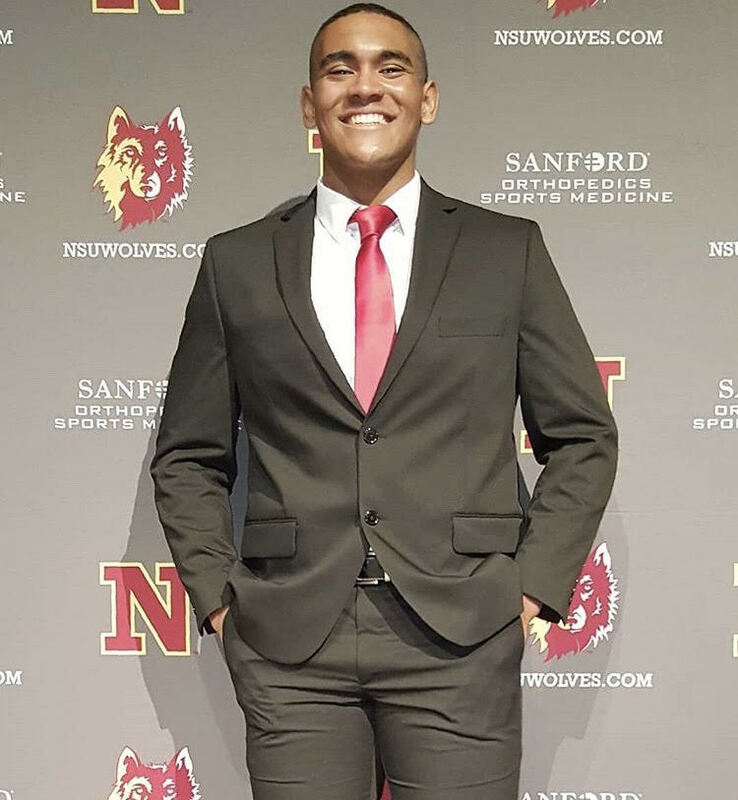 Horn, now 20, has begun doing many media interviews about his story, and after college, he plans to serve in the Navy, possibly attend law school, and get involved in politics. 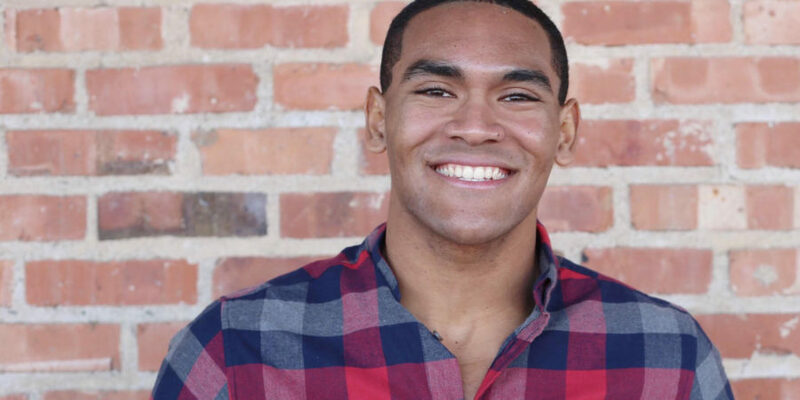 Coming from a racially diverse background, and as a gay athlete, Horn knows he has the opportunity to provide representation for a variety of underrepresented groups. 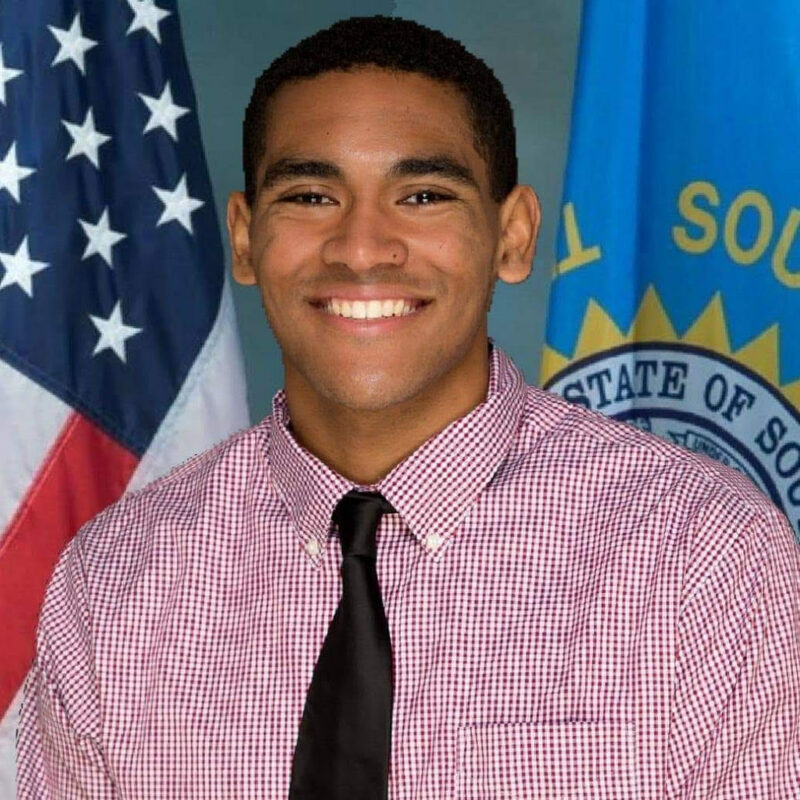 This is Horn’s story of coming out as gay, being an openly gay college athlete, and planning a future in politics to provide even more visibility and representation. Profiles in Pride: What did the process of coming out as gay look like for you? Justice Horn: I grew up in a pretty religious family, and it was probably around fifth grade when I started having those feelings. In middle school I started to realize I was gay and noticed that I was different from the other kids based on that. As I went through middle school, I struggled with it, especially because I was bullied for it. I continued to move schools because of the bullying. Then I started high school at the freshman center, and that’s when I publicly came out to my friends and coaches on the football team, wrestling team, and track team. I think it was received well because I grew up with the same group of guys. These friends knew me and they knew my ability and how I competed, and really they cared more about that. I think if I wasn’t an athlete, I would have had a very different experience. The field of play and competition made us closer, so to them, it really didn’t matter. PIP: When you went to college, were you an openly gay athlete with your wrestling team from the beginning, or did you decide to wait until the time felt right? JH: I waited, because you never know how a coach will react. They’re just looking for your skills. I was openly gay, so if someone asked I’d tell them, but they never asked me. I was struggling the first couple of months there, just feeling like I was hiding something from them. I was getting really close to this team and I saw them as my family, and I was planning on spending the next four years with them. I remember struggling with it and calling my mom crying one day. Then I went to see a counselor who was a wrestling alumni, and he walked me through it; that was my first step. I later walked into my coach’s office and told him, and he said, “It can stay between us or I can tell the team or you can tell the team.” But I thought it should be my duty to tell the team just so they knew. And I was met with nothing but acceptance. It surprised a lot of them because it’s unheard of, especially in college athletics, which baffles me, but I was met with acceptance and didn’t get any pushback at all. I love them for that. My coach said it doesn’t matter to him. 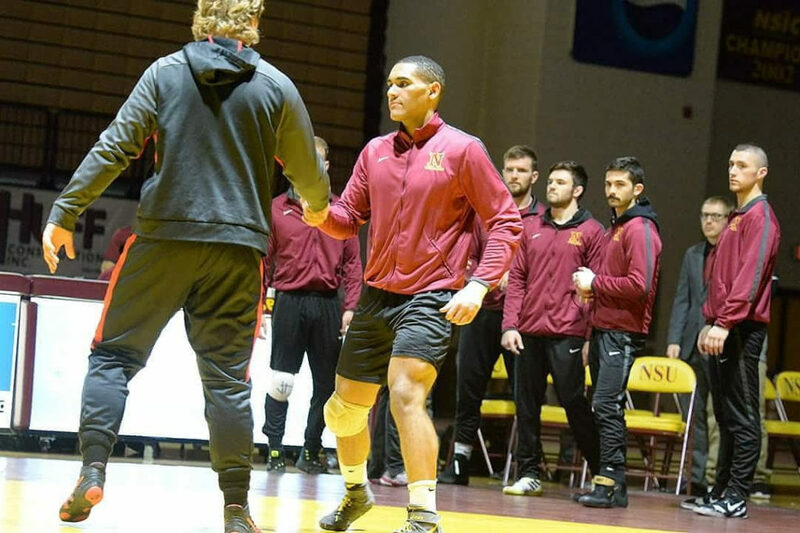 I’ve had nothing but support from my coaches and my team, especially the school of Northern State University. PIP: That’s incredible. Why did you recently transfer colleges? JH: I’ve had a long career of doing many sports; I’ve done football, wrestling, and track and field. I was originally planning on playing football in college, but I had concussions in my senior year of high school, so wrestling was the next step. I wrestled for two years in college, and it’s a real strain on the body. I’m still a college athlete; I’m continuing that by being on the rowing team here at UMKC. The move was really a personal one. I’ve always wanted to get involved politically and become more of an advocate and activist. There are a lot more resources in Kansas City compared to a small town in South Dakota. This move is to start my political career. I’ve already built my platform through doing many media interviews and being a representative of the various communities I represent. PIP: What are your future plans and political aspirations? JH: I want to finish my four years of college, and that will be in about a year here at UKMC. Then I want to join the Navy and do that for a few years. Then I plan to go to law school either here in Kansas City or somewhere else. Then, with the connections I make, I plan on coming back to Kansas City and working on behalf of Kansas City. Either running for City Council, mayor, or even the House of Representatives. I’d love to be governor of a state someday. I really think Missouri could be moving that way. That’s where my aspirations lie. I’ve been talking to people, and it could even be earlier, I could not go to law school and just run for city councilman. Nowadays they want younger faces and younger voices. PIP: What makes you want to serve in the Navy before going into politics? JH: I come from a very big military family; on my dad’s side a lot of them served in the Navy. And on my mom’s side, my grandfather served in the Marines. That’s basically where I get it. I think it comes to me personally and through the act of service; I really practice servant leadership. You need to operate as more of a ‘we’ instead of ‘me.’ I think a lot of people would move forward more if they cared about one another. PIP: What’s driving you to get involved in politics? JH: What really drives me to get more involved is seeing all the progress we have made and all the progress we still need to continue making. What better suits me for it is I represent a lot of different communities. I’m religious. I’m not only African American, but I’m also Polynesian, Caucasian, and Native American. I think on behalf of those communities too. Also, being a college athlete and coming from a big athletic family — we have a couple Division 1 athletes, and my uncle played in the NFL. I speak on behalf of athletics. Personally, it’s just seeing the people I care about and communities I represent still needing to move forward and have progress. PIP: And I’m guessing LGBTQ issues would be part of your platform and work too? JH: Yes, it definitely would be. In this day and age, I think representation really really matters, and I think that’s very important. And who better to advocate on LGBTQ rights than someone of the community? PIP: Definitely. Back to athletics, do you have any advice for other LGBTQIA college athletes still in the closet? JH: This is a personal thing, because I do talk to some college athletes who are still in the closet. I think it’s because everyone has a different background and there are different obstacles and struggles and things you deal with. I think coming out is a personal journey, and someone can only help so much. I just want them to know when they feel comfortable with themselves and when they have the courage to, they have the ability to come out and make sure they’re surrounding themselves with people who love and support them. Not only family, but friends and coaches, and knowing that they’re surrounded by people who love them no matter what. PIP: Why do you think it’s so rare for college athletes to come out as gay? JH: I think it’s rare because it comes down to what we project as the ideal athlete. We almost project them as untouchable; we don’t project them as everyday people. We need to show that no matter what your background is, no matter where you come from, if you have the skills and the drive for it, then you can compete. I think it shouldn’t matter what community that is. If you’re male, female, gay, straight, etc. — I think it should matter where your skills are. That’s what has baffled me. Because if you can play a sport, I think you can be a college athlete. It also comes down to who we perceive our athletes to be. I know for a lot of athletes I talk to, especially being gay, it’s still perceived as a negative connotation. There’s just a lot of stigma behind it, especially if you’re in a hypermasculine sport like wrestling or football, it might hurt you in some way. PIP: Have you met any college athletes who’ve come out and not had the positive experience you’ve had? JH: Yes, I’ve worked with a group called Out Sports. They did an interview with me and they talked to people with those experiences, and it’s sad. They’ve had pushback, some even so far that they had to transfer schools. I’ve had a couple people who tried coming out and asked me for advice, and they haven’t been in a welcoming environment. They were bullied and it just wasn’t the environment to come out in, and that’s really a shame for people. I know it sounds bad, but there’s nothing I can do if there’s an environment like that, and I feel bad there are some people who did the same sport I did at Northern State University and a lot of them ended up quitting the sport or transferring or getting bullied. PIP: What are some resources you’d recommend to someone in that position? JH: There are resources out there; it could be based on discrimination. I think the NCAA does a good job of protecting its athletes no matter where they come from. I’d suggest going to your counseling service and Title IX and NCAA coordinator, because those are the people advocating for you and your rights. So if there’s any wrongdoing, those are the people working on your behalf. 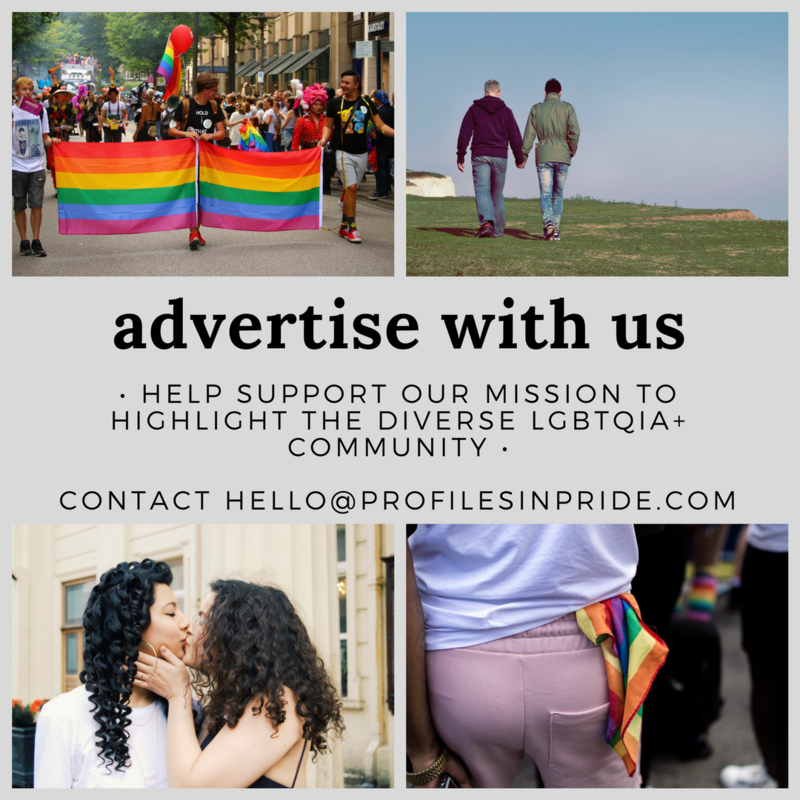 It’s a small community, but I’d also recommend reaching out to other openly gay athletes. Before I did all this and came out publicly and got more involved, I did confide in other athletes who were out there and being visible, so that’s what I hope I can be for someone else. I hope I can inspire someone. That’s where I come back again to why representation matters. If people say there’s never been a gay athlete or a gay wrestler, they can put my name or face to it and say, “Well, that can be me.” That’s what I want a kid in sports to think about. PIP: Absolutely! It reminds me of the Winter Olympics, when everyone was so excited that Gus Kenworthy and Adam Rippon were visible as openly gay athletes. JH: Yeah, it moves us forward in the sports world, because I think a lot of people in the mainstream don’t think we can compete. I’m happy they give gay athletes a face to relate to in some way.